Thanks to everyone over the years and all of you we saw last night. There was a moment during "Irrereversible" where I looked out and saw hundreds of people going nuts dancing with balloons; one of the most beautiful things I've ever seen. P.S. Cheers to Eva for the photo. We'll post some other stuff here as the good stuff trickles in. 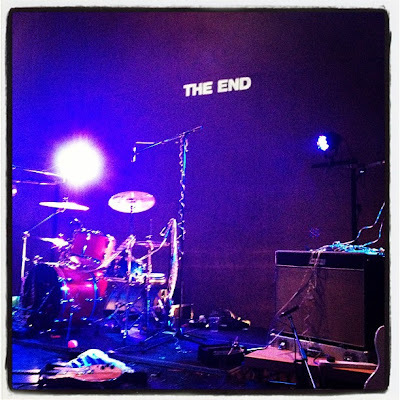 Dunno if you already saw it, but another ridiculously generous review of SOUVARIS SOUVARIS SOUVARIS, courtesy of Mr Tommy Dski, is at Pocket Jury: http://pocketjury.net/albums2011/. Thanks Tommy, the cheque's in the post! Bloody hell. In 8 days' time this band will not exist. It's hard to process. We heard that some people were getting charged a fiver a ticket when they bought in advance from certain outlets. This has now rectified... if you did get charged a fiver, let us know and we'll ensure you're refunded your pound at the door on Friday. We've been in touch with various friends and families as we make plans to HAVE A GODDAMNED PARTY on Friday night. It's going to be messy and we look forward to joining you at the heart of it. 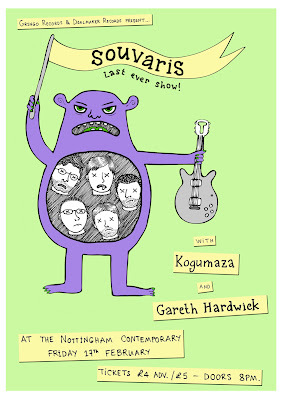 Personally, I can't wait to see Kogumaza busting out some new material and Gareth Hardwick playing something so new and secret that he can't tell me any details about it! Oh, and seeing YOU there. 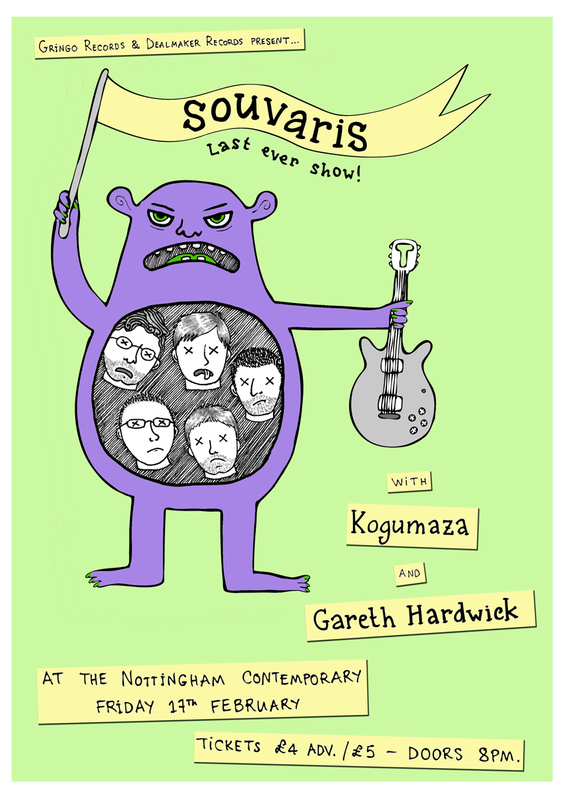 Tickets now available online from Gigantic (booking charges apply, sorry) or in person from the ever-fabulous Music Exchange in Snottingham.